Diaries… if there’s one thing I love about diaries, it’s the chance you are going to have refreshing those times you’ve been through with your own perspective and eyes – in a very long-winded way. That replenishing feeling of bringing back what’s been done. Bringing up the past can make you laugh, sometimes it can make you cry. But what matters the most is that we should all learn from it. 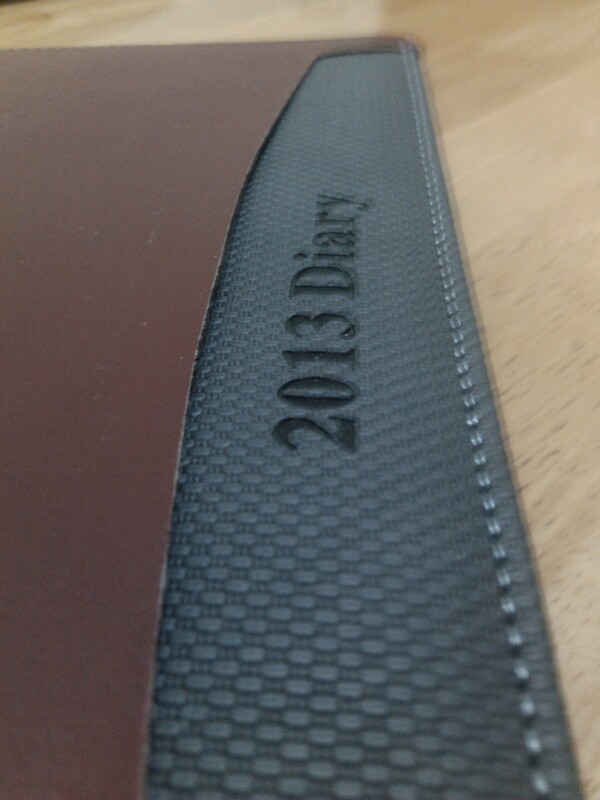 This year, my Pops got a 2013 diary as a gift. Knowing that he wouldn’t be updated on these things and knowing that he was not really a fan of writing and stuff, I took the chance to ask him if I could have it instead. Before handing me the package, a heartfelt conversation took place. “Anak, dalaga ka na. You’re turning nineteen this year and you are not getting any younger. Hindi basta-basta ang pagkakaroon ng diary. Pagtiyagaan mo ‘tong punuin and get the reward after”. Realizing what he meant, it was really touching and surprising to see my Pops this mushy. Sincerity and the “alpha” voice was easily felt. It was something words won’t even interpret; like I was… endowed for this. Backed up by my Pops. I know this diary was meant for me. Or at least, that’s what I think it is. Again. Things just don’t happen because of nothing. Everything’s attached to another’s string – ok that was out of line. But I guess you got my point. 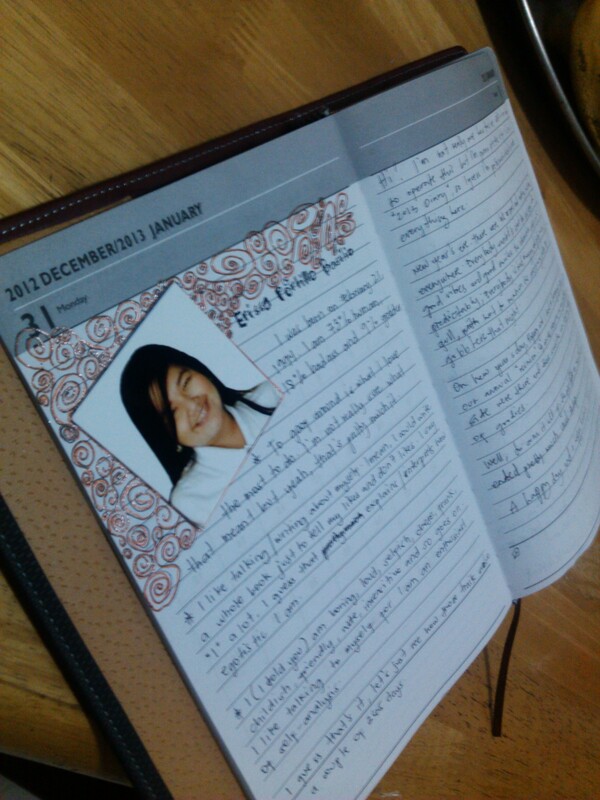 I think this diary can be a helpful tool now that I’m far from my best friends. You see, they have always been there for me to vent what I feel and think about something. Talk about self-analysis eh? – To spice it up a bit. Or more like to posh it up a bit, I added some shut outs of light colours inside. Anyway, I am the only one who’s going to see this, right (Sorry for the penmanship)? So there. An unplanned desire to accomplish something. Let’s just see what will happen in a couple of… 365 days.